Alibaba Group, Chinas leading e-commerce company today announced, it is planning to build a network of warehouses across China and hopes to mobilize other partners to join in this effort to create an integrated logistics platform that will help elevate the quality of service to Chinese consumers and allow merchants to meet rapidly growing domestic consumption needs. Over the medium term, Alibaba Group and its financing partners will commit between RMB20 billion and RMB30 billion (US$3.01 billion to US$4.52 billion), and Alibaba Group hopes to spark a total investment of more than RMB100 billion (US$15.05 billion1) in logistics development in China by others partners in the e-commerce eco-system. "It’s clear that logistics is a crucial link in the e-commerce eco-system and in order for Chinese entrepreneurs to reach their future growth goals, this sector needs to develop rapidly in China. It’s also clear that everyone involved in this sector needs to work together to accomplish this," said Jack Ma, chairman and CEO of Alibaba today. "Hopefully within 10 years’ time, anyone placing an order online from anywhere in China will receive their goods within eight hours, allowing for the virtual urbanization of every village across China. In order to achieve this, we will need to establish a modern, 21st century logistics network." Alibaba Group’s strategy towards logistics is composed of four key parts. Initially, Taobao will continue to deepen its pursuit of the previously announced Taobao logistics initiative to enhance quality control of delivery service. The Taobao logistics initiative consists of the Taobao supply-chain management platform (e56.taobao.com) to help merchants handle inventory; logistics partnership network; and industry code of standards guiding logistics service providers. At the same time, Taobao will focus on providing relevant value-added services in accordance to product vertical-specific needs. Alibaba Group will also mobilize efforts to establish an integrated logistics platform that aims to bring together all players in the industry from warehousing to delivery. Third, Alibaba Group will invest in the establishment of a nationwide warehouse network across China in the goal of redressing the key bottleneck facing the logistics industry. 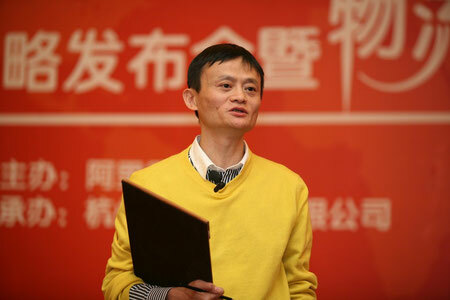 Lastly, Alibaba.com (HKSE: 1688) (1688.HK) will offer warehousing facility support to small Chinese exporters. Alibaba Group will coordinate closely with working partners in all sectors of the logistics industry to establish a national network of warehouse facilities to service the B2C industry across China. Usage of the Alibaba Group-owned warehouse facilities will be a service available to all, including partners in the logistics industry, Taobao sellers as well as independent B2C websites. Beijing/Tianjin area, the Yangtze River Delta and the Pearl River Delta were the regions initially selected by Alibaba for warehouse construction because of their proximity to major population centers. Initial plans are to establish warehousing facilities in these three regions totaling approximately 3 million square meters in size, or the equivalent of 560 American football fields of floor space (or 356 football pitches). "Creating a network of warehouse facilities is a key tactic in our strategy to resolve the bottleneck facing the logistics industry in China. In the other areas of the logistic industry, Alibaba Group will mainly participate through investments aimed at helping our working partners to accelerate their own growth," said Zhang Wei, senior vice president of Alibaba Group and head of its strategic investment team. As the leading source of business for the Chinese logistics industry, Taobao recently shared that transactions per user grew 35 percent year-over-year while Taobao Mall, its dedicated B2C platform, saw its 2010 gross merchandise value quadruple over the previous year. On November 11, 2010, more than 15 million packages were sent as a result of a single-day promotional event on Taobao Mall.